Kabul, March 21: At least six people were killed and 23 were injured when three rockets landed near a Navroz celebration ceremony in Kart-e-Sakhi area in Kabul city on Thursday. 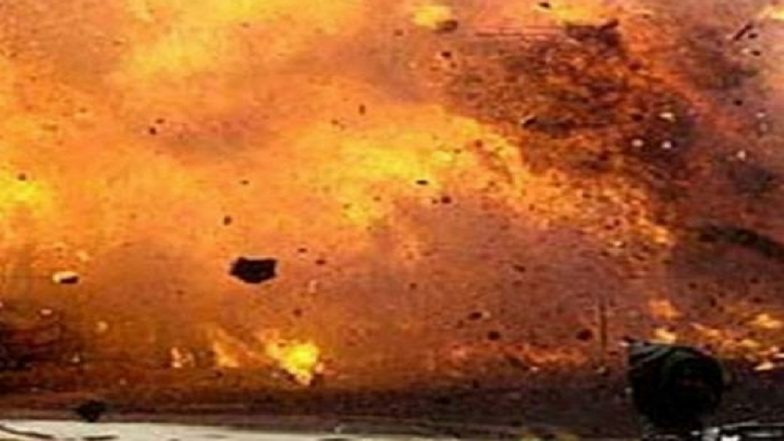 The Ministry of Public Health confirmed that three explosions took place in the area, reported Tolo News. The victims were taken to nearby hospitals, officials stated. Tolo News reported that six people were killed and 23 were injured in the blasts. No organisation, including the Taliban, has claimed responsibility for the attack. "As we celebrate this auspicious day to bind us together our fellow citizens witnessed another devastating day in #Kabul. We lost peaceful citizens to a coward enemy that knows no bounds. I send my heartfelt condolences to the bereaving families & wish the wounded quick recovery," tweeted Afghan President Ashraf Ghani. Afghanistan: Gas Cylinder Blast Leaves 9 Dead in Kabul. On March 7, a major political gathering in Kabul came under an attack, with explosions being heard at the venue. The attack took place at a commemoration function of the death of Abdul Ali Mazari, a former jihadi leader in PD 13 area in the western part of the city, according to Afghan media reports. No casualties were reported in the attack.